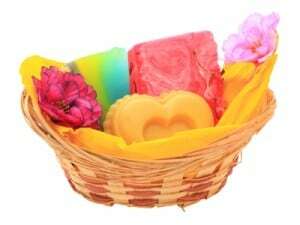 Bath soaps are undoubtedly one of our daily needs to maintain proper hygiene. But these days, most bath soaps are plagued with too much artificial component and chemicals that make them unsafe to our skin—they can cause dry and cracked skin and even allergic reactions to certain chemicals. So it is a good news to everyone that we can actually make our own natural soap at home. This recipe includes several natural products that can help ward off odor causing bacteria and germs and at the same time, nourish out skin. 1. Choose natural ingredients that are hypoallergenic, or make sure that no one in the family is allergic to what you intend to use. 2. Be sure to know about the proper handling of ingredients that are potentially harmful, like lye, to avoid accidents. Never mix lye in hot water because it will cause the lye to erupt. Also, never use aluminum utensils to make soap as lye reacts with aluminum. 3. Be sure to have the right tools and safety gears (goggles, gloves, face masks) and accurate measuring equipments to achieve optimum results (measuring cups, spoons, scales, etc.). Also keep vinegar and lemon handy to wash off lye that comes in contact with you skin to avoid burning. 4. Do the procedure in an open area to avoid any potential hazard like suffocation from lye or any other fumes or scents. Also choose an area where no children can be near while the procedure is going on. 1. Mix in lye in water in 1:3 ratios (that is one part lye, three parts water). Remember to add lye to water and not vice versa. Let the lye-water mixture cool down to about two to three hours. Preferably, prepare this mixture one day ahead and set aside in room temperature. 2. Combine the lard and oils in a stainless steel or enameled pot and put them over low heat till the lard melts and form a uniform mixture with the oils. Stir the mixture gently and occasionally while checking the temperature if it has reached the ideal point of 120 to 130 degrees Fahrenheit. 3. Once the mixture reaches the ideal temperature, add in the lye mixture to the fat and oil mixture, stirring it gently using the spoon while pouring. 4. Continue stirring the mixture using the stick blender and the spoon alternately. Once the mixture has become more opaque, add the fragrance and give it another stir to evenly distribute the essence. Add the coloring dye, if you wish, to the mixture and stir it to mix evenly. 5. Pour the mixture into the molds and let it cool and set for at least 24 hours. Once they have set properly, you can now remove and reshape them as desired. They are ready to go. Your DIY soap makes an excellent gift for friends during special occasions… or you can splurge on it during bath time. And since it is you who made it, you can be sure that it’s all natural and skin friendly, with no chemicals to harm your body. Manilyn Moreno is a caterer, event planner, and writer. Currently, she is a contributing author to a catering software company. She recommends making your own DIY tokens and souvenirs when having a special occasion and parties.